More that 40% of children have tooth decay by the age of 5, all of which is 100% preventable! Welcome! We are pleased that you are interested in learning more about Hillsboro Pediatric Dentistry. 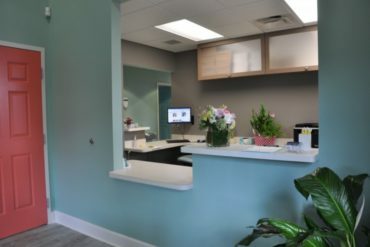 We hope that this website will help answer your questions, familiarize you with our office, and outline just how different we are from other pediatric dental offices. Hillsboro Pediatric Dentistry is committed to providing our young patients with the best possible dental care in a comfortable and inviting setting. 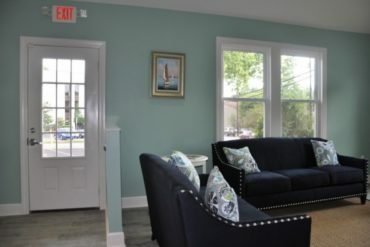 Our office is meant to look less like a medical office and more like a true home. We are a Mercury-Free and BPA Free office! We believe children really need to be in a welcoming environment in order to feel safe and open to try new things… like getting their very first professional dental check up! Giving back to our community is an extremely important aspect of our dental office. We volunteer our time visiting preschools and teaching children proper oral hygiene and healthy eating habits. We also enjoy helping out at remote dental clinics, donating toothbrushes and toothpaste to local churches, homeless shelters and international refugee camps. Dr. Mirna is one of Nashville’s premier pediatric dentists. 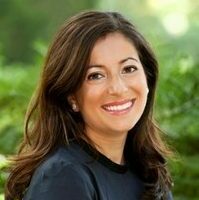 Her skills as a board-certified pediatric dentist coupled with her experience as a mother sets her apart from many of her colleagues. This unique combination helps her to understand certain challenges we face trying to care for our children’s teeth. It is also why children and parents love to visit her office! Our check up appointments encompass more than “just a cleaning.” We view each check up as an opportunity to educate your family and provide your child the tools to remain cavity free. A twice a year professional dental cleaning and fluoride treatment are all part of your child’s prevention program. However, there is much more. We focus on using the highest quality restorative material as well as the most up to date techniques. All of our fillings are tooth-colored. We are a mercury-free office. Dr. Mirna is able to provide comprehensive dental treatment with the use of general anesthesia in a hospital setting for children with severe dental problems as well as children with special needs. "Absolutely Amazing! You definitely leave being satisfied with your results I highly recommend any one with children to take them here!" "The staff was very friendly and informative. They made the visit an enjoyable experience! They were very patient with my little guy! I was super nervous with this being his first visit, but they made it so easy and stress free!" "My kids love everything about Hillsboro Pediatric Dentistry. The feel comfortable, safe and loved, and the whole experience is a blast. Cannot recommend them more highly." "Dr. Mirna is amazing with kids and is an honest, caring, dentist. I am a dentist myself and appreciate her commitment to excellence. I wouldn't take my kids anywhere else! 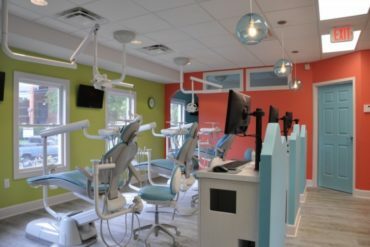 Her staff are wonderful and they make the whole dental experience fun and easy for kids of all ages." "Dr. Caldwell is a true professional. She has impeccable academic credentials and is very experienced, but her true gift is how she interacts with her patients. She is upbeat and treats them with respect. The office is pleasant and calming. She is very respectful of your time and is never running late or rushed." 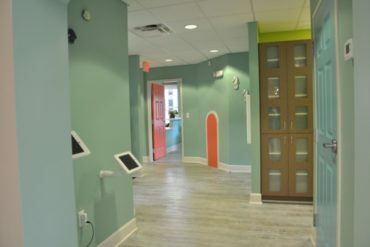 "This office is so perfect for children - every detail is so thoughtful in making children feel comfortable and confident. The open concept office helps with sibling visits and makes every thing happening transparent for little ones. Dr. Caldwell and her staff make every patient (& parent) feel special and look forward to the next visit!" "Just had a wonderful experience at Hillsboro Pediatric Dentistry! The clinic is adorable, staff are lovely, and my daughter can't wait to go back! Thanks for treating kids like kids and for making my daughter's first cleaning FUN!" "Dr. Caldwell and her staff are absolutely amazing!! The atmosphere was so relaxed and fun. And the team has an amazing gift for making the entire experience fun and magical. My daughter can’t wait to go back for her next cleaning!" Pediatric Dentist for Tennessee (TN) children from Nashville, Belle Meade, West End, Vanderbilt, Green Hills, Hillsboro Village, Belmont Neighborhood and surrounding areas.